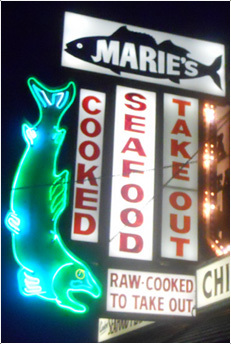 Marie's Seafood is a FISH MARKET/TAKE-OUT Restaurant located on Park Road in Sea Isle City, New Jersey. We are opened seasonally May through October. Marie's Seafood offers fresh seafood daily in our fish market, cooked seafood to take out and deck dining serving all homemade dishes. Stop by today or call 609.263.FISH or 609.263.8812 to see what everyone else is talking about.